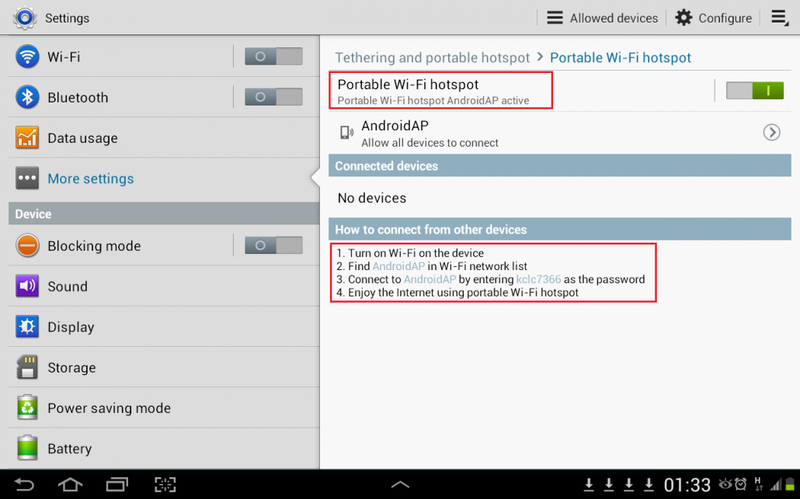 This will go through step by step on How to enable (turn on) Wifi Hotspot on Samsung Note which is running Android (operating system). 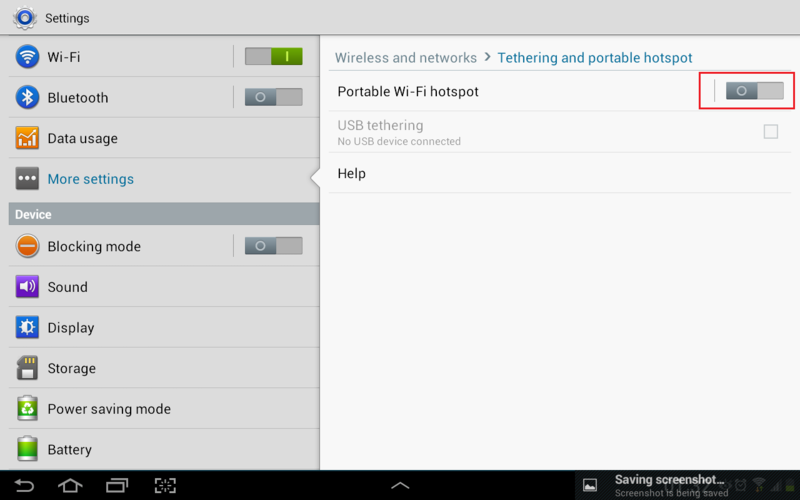 By turning on Portable Wifi hotspot, you can share the device’s internet connection with computers or other devices. 5. 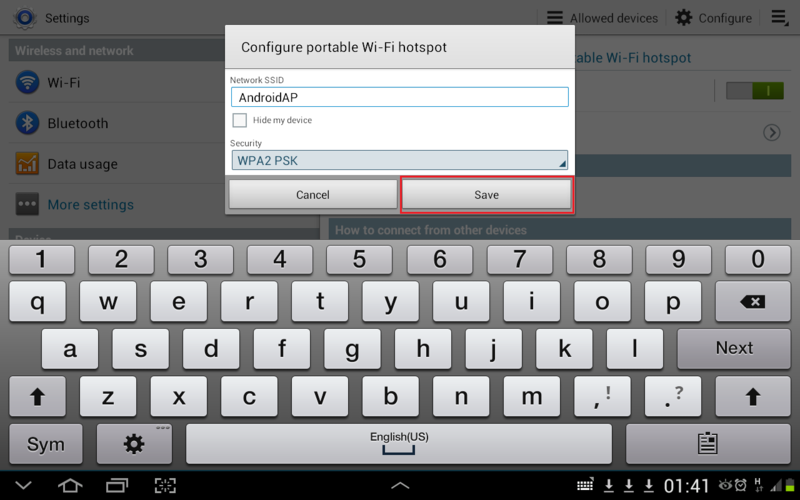 The Samsung device will process in few seconds; after completed touch on Portable Wi-Fi hotspot again to get the Network SSID and Password then share to friends. 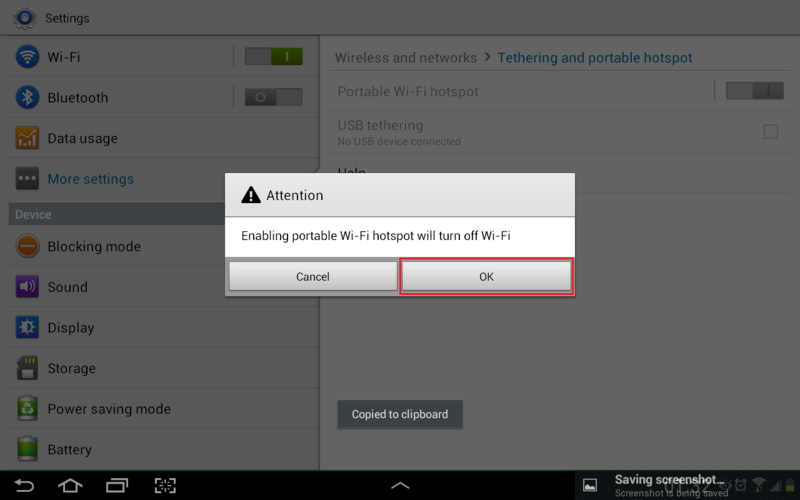 It will open Configure portable Wi-Fi hotspot dialog where we can change the Network SSID and Password. 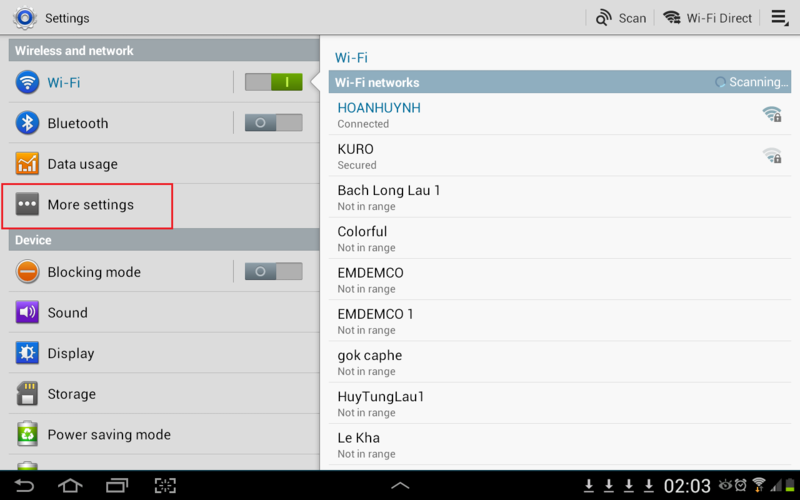 After made changes, touch Save button.